In recent years, the trend toward “medical tourism”—the practice of traveling to another country for medical treatment—has increased. This is especially the case for women. Patients are most often interested in going overseas for surgery or dental care because they want to save money, and opting for care abroad can result in lower bills. However, the initial low cost of going to another country for treatment can come with serious and expensive unforeseen consequences. First, it is not guaranteed that a hospital in another country will be held to the same standards of accreditation and certification of medical staff as their U.S. counterparts. Foreign countries may also not have strict screening standards for blood donations, which can put a patient at risk of infection from blood-borne disease should they require an infusion during treatment. Medication counterfeiting is also a huge problem in some parts of the world, meaning that the drugs a patient receives abroad may be useless or even harmful. Even if a patient does their homework and obtains their care from an excellent facility, traveling far from home for treatment means that they receive no long-term follow-up care. Depending on the procedure, patients may head back home after only a short period of convalescence. Travel itself can pose a risk in this situation, as the chance of developing a blood clot increases with air travel shortly after a surgical procedure. If any complications arise in the weeks and months following such a procedure, then the patient must obtain care locally, as a practical matter. One of the most common risks from overseas medical treatment is infection. Antibiotic resistance is a worldwide problem. While patients can encounter antibiotic-resistant bacteria anywhere, such superbugs are often more common in other countries than they are in the U.S. In addition, facilities in foreign countries are not necessarily held to the same standards of cleanliness and infection control as American hospitals, factors that can make it more likely for a patient to contract a dangerous infection. Going abroad for treatment also means that patients forego the clear protections they are entitled to under U.S. law. Should a procedure go wrong or a patient receive substandard care in a foreign country, attempting to sue for malpractice can result in a legal morass that delays a patient’s recovery of damages for years, if it is possible to obtain compensation at all. It may not be possible to sue a doctor in another country in an American court, and even if a patient obtains a judgment, they may not be able to ever collect on it. 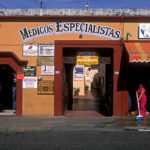 That leaves the patient on the hook for any medical bills or other costs resulting from their poor medical treatment. The best way to look out for your health is to find a high-quality provider at home who can manage your treatment before, during, and after a surgical procedure. When your doctor or dentist has the full picture, they can help you avoid potential complications and manage any unforeseen effects.